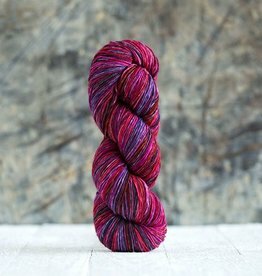 If you're looking for a fun time in a skein, let us introduce you to Urth Uneek Worsted. This extrafine merino yarn works into a self striping gradient fabric. The Urth Uneek Sock Kit makes knitting a pair of matching self striping socks easy peasy! This kit contains 2 pre-wound cakes and 3 sock patterns.